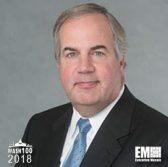 ExecutiveBiz talked with Matt Desch, chief executive officer, and a four-time Wash100 winner, about Iridium’s May 22nd satellite launch, their partnership with SpaceX and where he sees the company’s path ahead. ExecutiveBiz: You’ve been chief executive officer of Iridium for over a decade now. Can you discuss how you’ve seen Iridium grow and progress in your time at the company? Matt Desch: It’s been extraordinary to watch our growth since I joined back in 2006. During my first year, I think we had about 150,000 subscribers and now we just reached 1 million subscribers, a growth factor of almost six times. When I joined, we did $50 million dollars in profits. This year we’re projecting in the $280-290 million range. Additionally, just the way it feels to work here is different. About 40 of us worked in an office over in Bethesda, with 100-150 total employees. Today we have almost 270 employees in northern Virginia alone and nearly 600 around the world, so our day-to-day activity has changed dramatically. As a wholesale satellite operator, we run the world’s largest satellite constellation, but we really go to market through other companies, by taking our technology and embedding it into their products. We had begun to forge these partnerships when I started, working with around 100 companies. That number of partnerships now ranges in the hundreds. What I’m most proud of is the respect we’ve garnered in the industry and in our arena. Back in 2006, we were seen as the company that came out of bankruptcy six years before, with the general view being that while we were surviving we were on borrowed time. Today, we’ve almost completed our next-generation $3 billion constellation to refresh our network. Over the years, we’ve gone public and renewed ourselves to the point that we’re not just surviving anymore; we’re thriving. ExecutiveBiz: Since your May 22nd satellite launch from Vandenberg Air Force base, Calif., 55 of the 75 new Iridium NEXT satellites are now in orbit. What additional capabilities, such as greater Internet-of-Things compatibility, will this constellation offer federal agencies and customers? Matt Desch: We still have two more launches to go, but we’re getting very close to completion. We plan to have those remaining ones finished by late summer, with the entire constellation and network completed in 2018, which is something I’ve been working toward since I started at Iridium. It’s not only a great milestone but will also ensure the life of the company for at least another 20 years. This new network is much more powerful, with a lot more capacity, better quality and important new services, including the first truly global broadband internet service, called Iridium Certus. We’re not entering the commodity broadband space that many other satellite companies are; instead, we’re offering a specialty broadband service that will be used to protect air and maritime vessels and help federal agencies meet regulatory requirements. Through partnerships with global air navigation service providers, we’ll be able to track every airplane in real time, and relay a craft’s position, location, altitude and speed to air traffic controllers, leading to improved and safer air traffic service. This isn’t something we imagined 20 years ago when the network was started, but it’s a very important and unique capability, and we’ll be doing the same for maritime ship tracking. There’s excitement surrounding all this among our distribution channels. Our biggest business right now is IoT, with almost half of our subscribers using an Iridium connection to connect to a truck, pipeline, piece of heavy equipment, etc. Those will get turbo-charged with the new network; we expect to create a lot more partnerships as the IoT market expands dramatically in the coming years. These partnerships extend to our federal customers, who represent more than 20 percent of our revenue. In short, we believe Iridium is going to be the primary satellite provider supplementing terrestrial IoT services. ExecutiveBiz: Can you discuss Iridium’s partnership with SpaceX and where you see it going moving forward? Matt Desch: We were one of SpaceX’s earliest and largest commercial customers. We came along even before they were successful with their first launch and gave them a contract for eight rockets, which is more than anyone else has done. With our May 22nd launch, they’ve completed six of the planned eight. We’ve also been a strong proponent of reusability, which is something they’ve been pushing. Three of our launches have used flight proven (or reusable) boosters. In addition, SpaceX has significantly lowered the cost for us to get to space. $3 billion is a lot of money for any network, but it would have been even worse if we would’ve had to spend $4 billion because they weren’t around. SpaceX has been very important to us and we’ve both grown up at the same time. At both companies, entrepreneurship and innovation are at the core, so our values and cultures are aligned. That being said, I’m not just in the business of launching satellites. We have to refresh our network every 20 years or so and we’re nearing the end of our current two decade-cycle. I’m going to miss working with SpaceX soon because we won’t have any more satellites for them to launch. However, I won’t miss spending the billions of dollars in capital, as we’ll go from spending about $500 million a year to $35 million a year for the next 10 years. That has some exciting potential for our bottom line and cash flow, allowing us to go from significant negative cash flow to very positive cash flow. Soon, we’ll be reaping the benefits of all the work we’ve done as a mature satellite operator. ExecutiveBiz: What do the next 12-24 months look like for Iridium? Matt Desch: As I discussed, there’s going to be a financial transformation coming as we end 2018 and move into 2019. Our profitability will improve, and we’ll be able to refinance our export credit debt, which should happen around 2020, giving us greater flexibility to do equity-friendly things like paying dividends or buying shares back, as well as have the flexibility to make key acquisitions. Going from a post-bankrupt satellite operator, to one trying to remake itself, to becoming a mature, financially-sound company is huge. Internally, we’re very excited about the state-of-the-art capabilities the new constellation brings, and that’ll reflect in strong revenue and continued growth. Since 2009, Matt Desch has been chief executive officer of Iridium. He also served in the same role at the McLean, Va., company’s privately-held predecessor, Iridium Holdings.